These Great Blues are elegant as they land. All the various layers of feathers look like a cape in the wind. For such a large bird they slow quickly using their wings like a parachute. 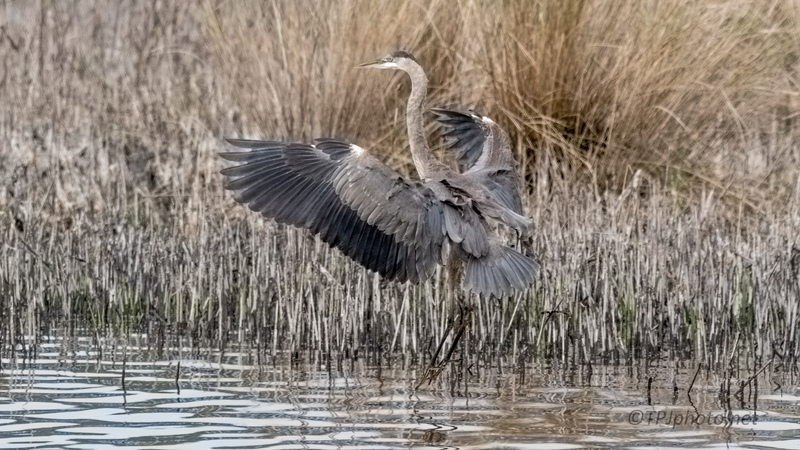 This landing was dangerous for the Heron. Each of these reeds are hollow, brittle, and some very sharp. I have seen the results of a miscalculation. With luck it’s only a poke or bruise. Click, or double tap, any image below to view the gallery. This is the full series of the landing.